By the summer of 1953, the British and American governments initiated a joint Anglo-American plan for the covert overthrow of Dr. Mohammad Mossadegh, the Prime Minister of Iran. The plan called Operation AJAX with Kermit Roosevelt, the CIA Mideast Agent in charge (a grandson of Theodore Roosevelt and a distant cousin of Franklin Delano Roosevelt). "So this is how we will get rid of the madman Mossadeq in Iran" announced John Foster Dulles to a group of top Washington policy makers in June 1953. The U.S. Secretary of State held in his hand a plan of operation to overthrow the Prime Minister of Iran. There was scarcely any discussions amongst the high powered men in the room, no probing questions and no legal or ethical issues raised. - The New York Times, 05/29/1997, "The CIA destroyed files on 1953 Iran coup d'état"
- The New York Times, 04/16/2000, "The CIA in Iran"
- The New York Times (web-site), 06/18/2000, "Overthrow of premier Mossadeq of Iran"
The decision was made in June 1953 to replace Dr. Mohammad Mossadegh with General Fazlollah Zahedi; one of those arrested in February 1953 on charges of plotting to overthrow the nationalist government. Kermit Roosevelt, the CIA Mideast Agent, traveled secretly to Iran to coordinate the Operation AJAX with the Shah and the Iranian military, which was led by General Fazlollah Zahedi. In accordance with the plan, on August 16, 1953, the Shah violated the Iran's Monarchy Constitution and dismissed Dr. Mossadegh and his nationalist cabinet without the parliament's approval and appointed General Fazlollah Zahedi as the new Prime Minister. The chief of the Royal Guards, Colonel Nematollah Nassiri, served Dr. Mossadegh with a formal dismissal notice. In addition, he was ordered to occupy Dr. Mossadegh's house by the Royal troops and hold him in his house until further instructions, but the Prime Minister's guards forced them to quit. The coup d'état was publicized and caused major disappointment and dissatisfaction amongst the people throughout the country. In a matter of hours, massive rioting erupted in Iran in wide support of Dr. Mossadegh; and the Shah fled to Italy. The people's protest and demonstration continued for two days and led to pull down the statues of the Shah and his father all over the country. On August 19th, 1953, the British Intelligence Service (MI6) and the United States Central Intelligence Agency (CIA), engineered to perform the next phase of their plan against the Iranian national government of Dr. Mossadegh. 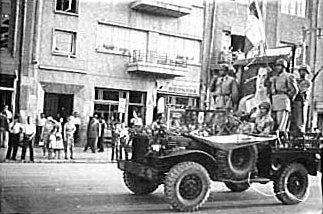 On that tragic day, a group of tanks led by General Fazlollah Zahedi moved through Tehran and surrounded Dr. Mossadegh's residence. 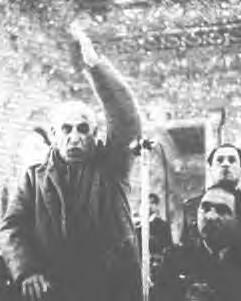 The forces behind the coup d'état also managed to pull a large number of bribed hooligans into the streets to rally against Dr. Mossadegh. 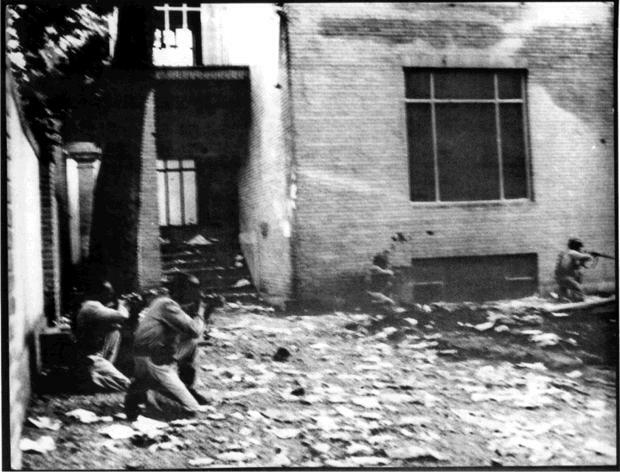 Finally the army and police forces let the mob reach the Prime Minister's residence and after hours of bombarding and fighting a bloody battle with the small group of Dr. Mossadegh's loyal guards, they entered the house and after plundering it, they burned it down. In a matter of hours Dr. Mossadegh and his top cabinet leaders surrendered themselves to the coup d'état Prime Minister, General Fazlollah Zahedi, and the Shah flew back to Iran, as a U.S. puppet. On August 19th, 1953 (28th day of Mordad 1332, Persian calendar); the Shah's dictatorship restored. "I owe my throne to the God, my people, my army and to you", the Shah reportedly told the CIA Mideast Agent, Kermit Roosevelt. 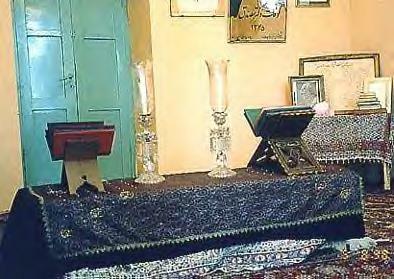 Dr. Mossadegh remains a figure of tremendous stature in the history of modern Iran. As an individual he had a reputation for honesty, integrity, and sincerity. He strongly opposed British and, later, American influence in Iran. He was an eloquent, impassioned orator, and his speeches are still widely read in Iran. 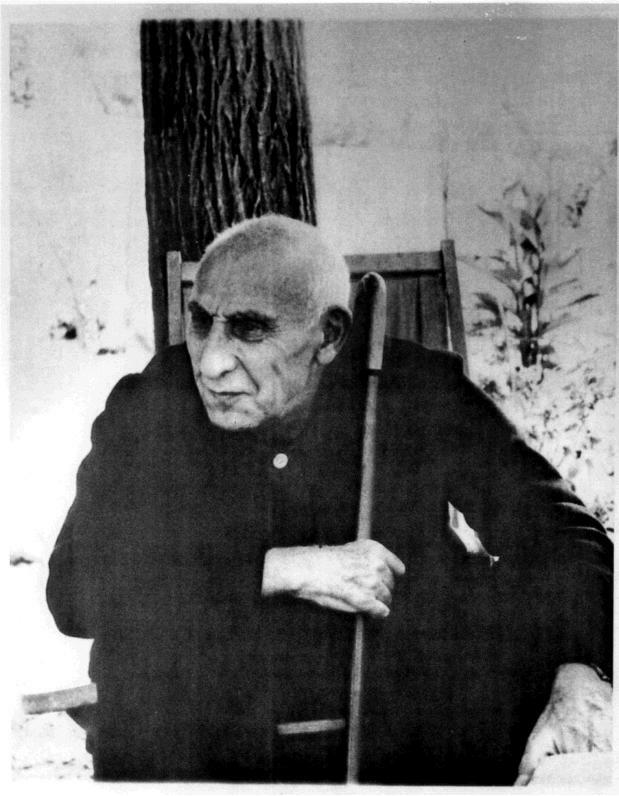 During Dr. Mossadegh's trial in the Shah's military court, he publicized the secrets of two military coup d'état attempts against his government. He was sentenced to three years imprisonment; thereafter he was transferred to his country house in Ahmad-Abad at the age of 74 and lived there under house arrest until his death. On March 4, 1967, Dr. Mossadegh died of cancer at the age of 84. His body was buried in one of the rooms of his residence. He was survived by 2 sons and 3 daughters. The Iranian people never forgave the Shah for the 1953 illegitimate and bloody coup d'état against the Iranian national hero, Dr. Mohammad Mossadegh and his nationalist cabinet. The Iranian people deeply suffered under the Shah's dictatorship, corruption, phony elections, heavy censorship on the public media, torture and execution of thousands of dissenters until the 1979 Revolution.